Then I showed him the memo. How could they pull off this mad caper? The bankers’ and Summers’ game was to use the Financial Services Agreement (or FSA), an abstruse and benign addendum to the international trade agreements policed by the World Trade Organisation. Until the bankers began their play, the WTO agreements dealt simply with trade in goods – that is, my cars for your bananas. The new rules devised by Summers and the banks would force all nations to accept trade in “bads” – toxic assets like financial derivatives. Until the bankers’ re-draft of the FSA, each nation controlled and chartered the banks within their own borders. The new rules of the game would force every nation to open their markets to Citibank, JP Morgan and their derivatives “products”. The job of turning the FSA into the bankers’ battering ram was given to Geithner, who was named Ambassador to the World Trade Organisation. And so on – with every single nation bullied into signing. Every nation but one, I should say. Brazil’s new President, Inacio Lula da Silva, refused. In retaliation, Brazil was threatened with a virtual embargo of its products by the European Union’s Trade Commissioner, one Peter Mandelson, according to another confidential memo I got my hands on. But Lula’s refusenik stance paid off for Brazil which, alone among Western nations, survived and thrived during the 2007-9 bank crisis. The new FSA pulled the lid off the Pandora’s box of worldwide derivatives trade. Among the notorious transactions legalised: Goldman Sachs (where Treasury Secretary Rubin had been co-chairman) worked a secret euro-derivatives swap with Greece which, ultimately, destroyed that nation. Ecuador, its own banking sector de-regulated and demolished, exploded into riots. Argentina had to sell off its oil companies (to the Spanish) and water systems (to Enron) while its teachers hunted for food in garbage cans. Then, Bankers Gone Wild in the Eurozone dove head-first into derivatives pools without knowing how to swim – and the continent is now being sold off in tiny, cheap pieces to Germany. While billions of sorry souls are still hurting from worldwide banker-made disaster, Rubin and Summers didn’t do too badly. Rubin’s deregulation of banks had permitted the creation of a financial monstrosity called “Citigroup”. Within weeks of leaving office, Rubin was named director, then Chairman of Citigroup – which went bankrupt while managing to pay Rubin a total of $126 million. That Obama would, at Robert Rubin’s demand, now choose Summers to run the Federal Reserve Board means that, unfortunately, we are far from the end of the game. Special thanks to expert Mary Bottari of Bankster USA http://www.BanksterUSA.org without whom our investigation could not have begun. The film of my meeting with WTO chief Lamy was originally created for Ring of Fire, hosted by Mike Papantonio and Robert F. Kennedy Jr.
Further discussion of the documents I laid before Lamy can be found in “The Generalissimo of Globalization,” Chapter 12 of Vultures’ Picnic by Greg Palast (Constable Robinson 2012). On April 10, the day after passage of the new laws, which she has called on President Poroshenko not to sign, Vitrenko released a video analyzing them www.vitrenko.org/article/25199 or www.vitrenko.ru/article/25199). In the 45-minute talk, Vitrenko declared that these are “neo-Nazi laws, no matter what anybody says.” In a point-by-point analysis, she exposed the sophistry of the law: “On the condemnation of communist and national-socialist (Nazi) totalitarian regimes in Ukraine and the prohibition of propaganda of their symbols,” which pretends to be “anti-Nazi” as well as “anti-Communist,” coupling the two as “totalitarian” systems. But the “Nazism” that is banned is only the symbols of the German Third Reich in 1933-1945, thus leaving, for example, today’s Azov Battalion in Ukraine free to march under the Wolfsangel symbol. As soon as the laws are signed, said Vitrenko, “I could get 10 years in prison, for saying that I am proud of my grandfather and my father,” who served in the Soviet Red Army. She detailed how the laws violate an array of European conventions on human rights and freedom of expression, to which Ukraine adhered when it signed the Association Agreement with the European Union, as well as Ukraine’s own 2000 law on the perpetual commemoration of the Great Patriotic War of 1941-45. Last week, the PSPU denounced a new media campaign to target and frame Vitrenko as “pro-separatist” and a Russian agent. Her associates have expressed concern that the media smears are intended to make her an enemy in the eyes of Ukraine’s neo-Nazi and Banderite radicals, who would then move to eliminate her physically. In 1999, as a Presidential candidate, Vitrenko and 40 others were injured in a grenade attack on her campaign rally. During the Rada session, which adopted the laws with minimal discussion April 9, testimony on behalf of their passage was given by Yuri Shukhevych, son of Roman Shukhevych, a commander in the German Abwehr’s Nachtigall Battalion, and in 1943 a key figure in the UPA’s Volhynia massacres of Poles living in western Ukraine. Long the head of UNA-UNSO, which became a component of Right Sector, the younger Shukhevych is now an MP from Oleg Lyashko’s Radical Party. Also testifying was Volodymyr Viatrovych, the “historian” assigned in the 2000s by then (and now) Ukraine Security Service (SBU) head Valentyn Nalyvaychenko and then-President Yushchenko to rewrite history, whitewashing the OUN-UPA. In the Channel One Russia broadcast, Communist Party leader Petro Symonenko told an interviewer: “There is now a dictatorship in the country – of one opinion and one ideology; a dictatorship of those who came to power through the Maidan, and that excludes any pluralism of views.” The report also highlighted the case of Ukrainian Labor Party leader Alexander Bondarchuk, currently on trial and facing five years in prison for “infringing the territorial integrity of Ukraine” through articles published last August in the newspaper he edits. A leader of Ukrainian Jews accused the head of the country’s security service of targeting Jews and legitimizing a militia that killed Jews in the 1940s. Eduard Dolinsky, the director of the Ukrainian Jewish Committee, made the accusation on Facebook against Valentyn Nalyvaichenko, head of the Security Service of Ukraine, the news website evreiskiy.kiev.ua reported, after Nalyvaichenko said his organization needed to base its work on the Ukrainian Insurgent Army, or UPA, which murdered thousands of Jews in the ’40s. Dolinsky also said that several years ago, the security service under Nalyvaichenko published a list “that consisted entirely of Jewish surnames” of people allegedly responsible for the famine that killed millions in Ukraine in the 1930s. The popularity of UPA, which for a time collaborated with the Nazi occupation to further UPA’s ambitions of sovereignty from Russia, has soared in Ukraine since a 2013 revolution that led to armed conflict with pro-Russian militias in Ukraine’s east. Earlier this month, the Ukrainian Parliament passed a bill that opened the door to state recognition of UPA, previously a taboo because of the widespread war crimes committed by its troops. The Simon Wiesenthal Center condemned that bill and another measure that banned both Communist and Nazi symbols — a move that the center interpreted as equating the two regimes. Here are statistics for press releases, flyers, talks, and letters to the editor. US combat troops are working with Ukrainian forces. NATO planes arrive regularly carrying heavy weapons, munitions and other war supplies. Sputnik News explained the toll so far after one year of conflict. UN figures claim 6,072 killed – another 15,345 wounded. Independent sources report much higher figures – multiples more than conservative estimates. Perhaps 100,000 or more have been killed or wounded – many maimed for life. The Donetsk People’s Republic (DPR) estimates 1.5 million internally or externally displaced refugees. 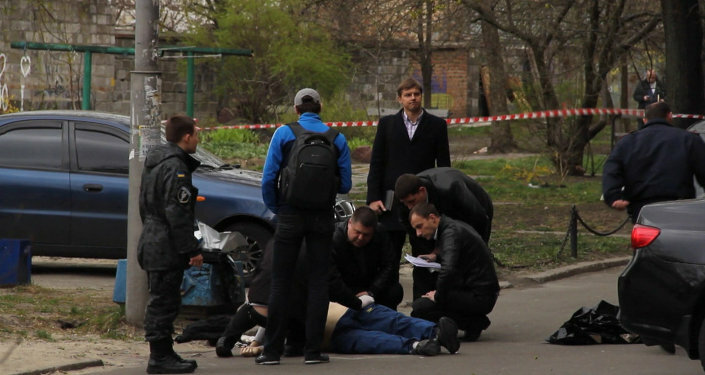 OSCE officials report seven journalists killed, another 170 injured. These are conservative figures. More accurate ones are likely higher. Donbass is one of the world’s most dangerous places for journalists. Kiev forces openly target them. Other times, they’re arrested, detained and tortured. Some die in captivity. the Saur-Monila memorial complex – entirely destroyed. Billions of dollars are needed to restore what’s lost. All the above devastation was non-military related. Even in legitimate wars, international law strictly forbids targeting civilians and non-military related sites. Doing so constitutes war crimes. Waging naked aggression is the supreme high crime against peace. MOSCA – Qualcuno sta uccidendo sistematicamente tutti gli oppositori al governo ucraino nato dalla “Rivoluzione” di un anno fa. Stamattina è toccato a un personaggio molto noto a Kiev, Oles Buzina, giornalista e scrittore, grande protagonista dei talk show televisivi, e schierato su posizioni apertamente filo russe. Lo hanno atteso sotto casa e lo hanno giustiziato secondo il preciso copione di un delitto studiato ed eseguito da professionisti. Vladimir Putin, che lo ha comunicato in diretta mentre stava partecipando alla consueta maratona televisiva di primavera e rispondendo alle domande del pubblico, ha definito l’omicidio “uno dei tanti crimini della Nuova Ucraina”. In realtà, nel silenzio di molti media occidentali, nella Kiev democratica e in corsa per entrare in Europa, sta avvenendo una spietata operazione di repulisti di ogni forma di opposizione. Ancora ieri sera, sempre nella capitale ucraina, un commando ha ucciso Sergej Sukhobok, titolare di un sito internet e di un piccolo giornale che contrasta la politica del governo e sostiene le ragioni della gente del Donbass ribelle. Poco prima, nel pomeriggio, altri killer avevano compiuto un’identica missione sotto casa di Oleg Kalashnikov, ex deputato del Partito filorusso delle Regioni e considerato un grande oppositore dei movimenti che hanno protestato l’anno scorso sulla Majdan di Kiev e che adesso guidano il Paese. Tre omicidi politici in meno di 24 ore che, inevitabilmente sollevano lo sdegno interessato di Putin e della stampa russa. Ma è comunque inquietante il clima di odio e di desiderio di vendetta che si respira in queste ore in Ucraina. Dopo la notizia dell’uccisione dell’ex deputato molti oligarchi, politici e personaggi popolari in Ucraina hanno rilasciato raccapriccianti dichiarazioni infarcite di “finalmente”, “se l’è meritato”, “eliminato un nemico”. Anche poco fa, subito dopo l’assassinio dello scrittore Buzina, il ministero dell’Interno ucraino ha diffuso la notizia definendolo “il famigerato giornalista”. Probabile che gli omicidi, almeno per quanto riguarda l’esecuzione, siano collegati alla frangia più estrema dei “rivoluzionari” ucraini, il movimento neonazista Pravj Sektor che ha gestito la fase più violenta del ribaltamento al potere e che adesso partecipa con le sue unità paramilitari alla repressione della rivolta filorussa nell’Ucraina dell’Est. Sin dall’inizio della grande svolta di Kiev, Pravj Sektor condiziona pesantemente le scelte del governo e del presidente Poroshenko, boicottando ogni tentativo di cercare una soluzione pacifica e allestendo spedizioni punitive contro chiunque dissenta dalla nuova linea ipernazionalista e patriottica. Il risultato è quello di inasprire ancora di più i rapporti con la Russia e complicare ogni possibile mediazione. Ieri, parlando di Ucraina, Putin ha continuato ad accusare l’Occidente di “appoggiare un governo di estrema destra” e ha negato ancora una volta che sul territorio ucraino ci siano dispiegate truppe russe come sostengono Kiev e molti media americani. “State tranquilli, non credo che si arriverà mai a una guerra aperta tra Russia e Ucraina”, ha detto ai cittadini russi preoccupati. Ma l’inizio di una nuova ondata di terrore incontrollabile in Ucraina non promette niente di buono. The translation of the article from La Repubblica follows this analysis. The captions describe Oles Buzina as a “journalist and writer very well known in the Ukrainian capital” and his murder as an “execution on his door step”. Noteworthy here are the inverted commas into which the Italian newspaper puts the word ‘revolution’, thereby putting in doubt the democratic nature of the regime change in Kiev. The article then quotes President Putin as saying that this is “one of the many crimes of the new Ukraine”. One would be hard pressed to find, anywhere in western mainstream media, other articles like this, which report Putin’s statements without the slightest attempt of casting his words in a somewhat negative or misleading way. Coverage of the Ukraine crisis by La Repubblica has been so far little better than those of its British and American counterparts. The editorial line was usually biased against Russia. In a departure from this bias the article says that murders in Ukraine are taking place “within the silence of many western media”. More importantly, Buzina’s assassination is set in a context of a series of political homicides with the assassins described as “organized commandos” and “professional hit men” — implying an instigator. “Yesterday evening [Wednesday], again in the Ukrainian capital, a commando killed Sergey Sukhobok, owner of an internet site and of a small newspaper which contests government policy and puts forward the reasons of the people in rebel Donbass. Giving readers a taste of Ukraine’s new political climate, the article says that “several oligarchs, politicians and celebrities made creepy statements filled with ‘at last’, ‘he deserved it’, ‘an enemy gone’,” upon hearing news of Kalashnikov’s murder. The Ukrainian ministry of Interior itself is quoted describing the slain Buzina as “the notorious journalist”. “Neo-Nazi ‘Pravy Sector’ [Right Sector] movement is probably behind these murders, at least as far as their material execution is concerned,” says the article, again leaving open the possibility of there being an instigator behind such “systematic killings”. “Pravy Sector heavily influences the choices of both government and president Poroshenko, boycotting every attempt to search for a peaceful solution and sending punitive expeditions against anyone who dares to dissent from the new hyper nationalistic and patriotic line”. Having quoted President Putin’s firm assurances that “there will never be an open war between Russia and Ukraine,” the article concludes that in Ukraine itself “the beginning of a new wave of uncontrollable terror does not bode well”. MOSCOW – Someone is systematically killing all the opponents of the Ukrainian government born of the “Revolution” a year ago. This morning it happened to a very well-known in Kiev, Oles Buzina, journalist and writer, the great protagonist of the television talk shows, and deployed positions openly pro Russian. They waited below the house and have him executed according to the precise script for a crime designed and executed by professionals. Vladimir Putin, who announced live while he was participating in the telethon usual spring and answering questions from the audience, called the murder “one of the many crimes of the New Ukraine”. In fact, in the silence of many Western media, in Kiev and in the Democratic race to join Europe, is taking place a ruthless operation clean sweep of all forms of opposition. Even last night, always in the Ukrainian capital, a commando killed Sergei Sukhobok, owner of a website and a small newspaper that opposes the government’s policy and supports the rationale of the people of Donbass rebellious. Earlier in the afternoon, other killers had made an identical mission under house Oleg Kalashnikov, former deputy of the pro-Russian Party of Regions and considered a great opponent of the movements that have protested last year on Majdan of Kiev and now lead the country. 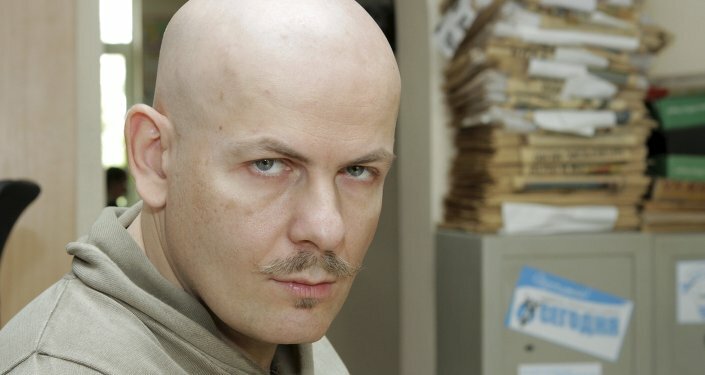 Even earlier, immediately after the assassination of the writer Buzina, the Ukrainian Interior Ministry has published the news, calling it “the notorious journalist”. 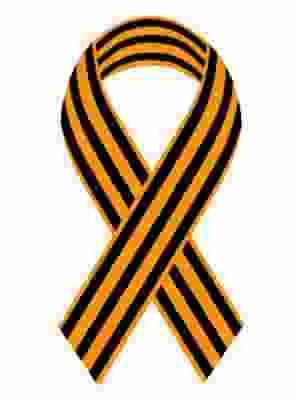 Probability that the killings, at least for the execution, are connected to the most extreme fringe of the “revolutionaries” of Ukraine, the neo-Nazi movement Pravj Sektor who handled the most violent phase of the tilt in power and now participates with its paramilitary units to the repression of the pro-Russian uprising in East Ukraine. Since the beginning of the great turning point of Kiev, Pravj Sektor seriously affects the choices of the government and the President Poroshenko, boycotting any attempt to seek a peaceful solution and preparing punitive expeditions against anyone who dissents from the hyper nationalist and patriotic new line. The result is to tighten even further the relations with Russia and complicate any possible mediation. Yesterday, talking about Ukraine, Putin has continued to accuse the West of “support a government of the extreme right” and denied again that on the territory of Ukraine there are Russian troops deployed as claimed by Kiev and many average Americans. “Rest assured, I do not think it will ever be an open war between Russia and Ukraine,” said Russian citizens worried. But the beginning of a new wave of uncontrollable terror in Ukraine does not promise anything good.